Futures in New York were little changed, after an 8.8% drop since October 26. The Organisation of Petroleum Exporting Countries and its allies may discuss the possibility of cutting production again next year when they meet in Abu Dhabi on Sunday. 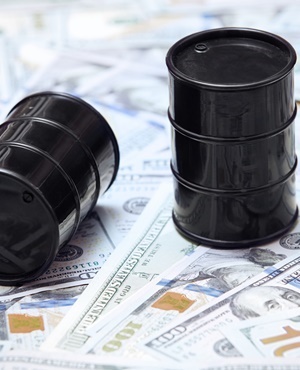 Meanwhile, government data showed US stockpiles rose by 5.78 million barrels last week, compared with expectations for a 2-million-barrel gain. Oil lost steam last month following speculation that the US will grant exemptions to some nations to purchase Iranian supplies even after it hits the OPEC producer with sanctions. Eight nations have received the waivers, which industry consultant FGE estimates will add 1.2 million to 1.7 million barrels a day of oil from the Persian Gulf state, higher than market expectations. “Investors are assessing the indications of rising inventories in the US as well as taking into consideration what could possibly come out of this week’s OPEC meeting,” said Kim Kwangrae, a commodities analyst at Samsung Futures. West Texas Intermediate crude for December delivery traded 18 cents higher at $61.85 a barrel on the New York Mercantile Exchange at 08:44. The contract fell 0.9% to $61.67 on Wednesday. Total volume traded was 23% below the 100-day average. Brent futures for January settlement gained 19 cents to $72.26 a barrel on the London-based ICE Futures Europe exchange. Prices lost 1.5% in the previous two sessions. The global benchmark crude traded at a $10.27 premium to WTI for the same month. OPEC and its allied suppliers will discuss scenarios including making the second production U-turn to curb output next year at a gathering in Abu Dhabi, according to delegates. Pressure is likely to decrease from the US to lower prices as the country’s midterm elections are over. Producers including Saudi Arabia and Russia had opened taps following unprecedented political pressure from President Donald Trump. Commodity bull Goldman Sachs said that raw materials will rebound from their recent sell-off, with a deficit seen in the global oil market this quarter and resilient demand in China for metals. Just three months after moving drill rigs out of the Permian Basin because of pipeline shortages, Carrizo Oil & Gas is already talking about bringing them back in the middle of next year.